The innovative, compact and flexible Vari-Z series of solid state laser marking systems are perfectly suited for advanced applications that require the processing of non-flat parts, multiple or uneven surfaces. 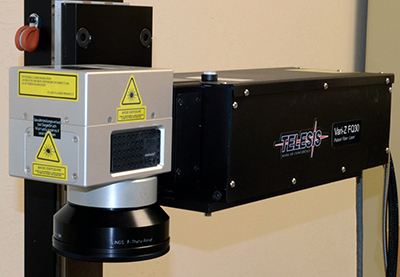 The 3-Axis beam deflection systems enable processing in three dimensions. The focusing optic is galvo motor-driven, enabling it to quickly generate continuously variable stepwise image field sizes and the longest standard working distance available in the industry up to a total focused depth of 78mm. This allows the user to change the working distance, field and spot size with the same g alvo head, all under software control. With 3-Axis Marking, you can maintain a consistent system focus and fluence throughout the working volume to achieve deeper engraving as well as f aster material removal. This functionality can be added to both the EV series and FQ series of laser markers.